This holiday season is bringing a flurry of emotions for me, and I have a better understanding of how stressful this time can be for the families we serve. Lately, it has been a reminder of special people that are no longer sitting across the table from me, and family members living too far away to see daily. But I am trying instead- to use this opportunity to become more mindful and present in the moments I do have with those I care about. We don’t have to celebrate Thanksgiving to be grateful; we can do that every day. In my professional life- I am grateful for our sponsors that make our work possible. Every year, our sponsors make a financial decision to part with some of their hard-earned dollars and support a comprehensive guide for the families in our community. Remember, the guide is MORE than just a marketing tool. 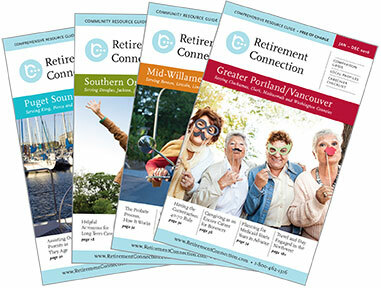 Retirement Connection is an extension of your marketing department with print, web, and networking. Would you miss: having one convenient guide that lists every licensed community and advertises additional senior-related resources; attending the Release Party – the largest networking event of the year; and/or connecting with case managers at hospital resource fairs? If you benefit from any of this- please thank the many sponsors of Retirement Connection and refer to their businesses when possible.